A window opened for a mid-week break recently & so the Tardis was packed for a “beach trip” to somewhere north of Sydney. 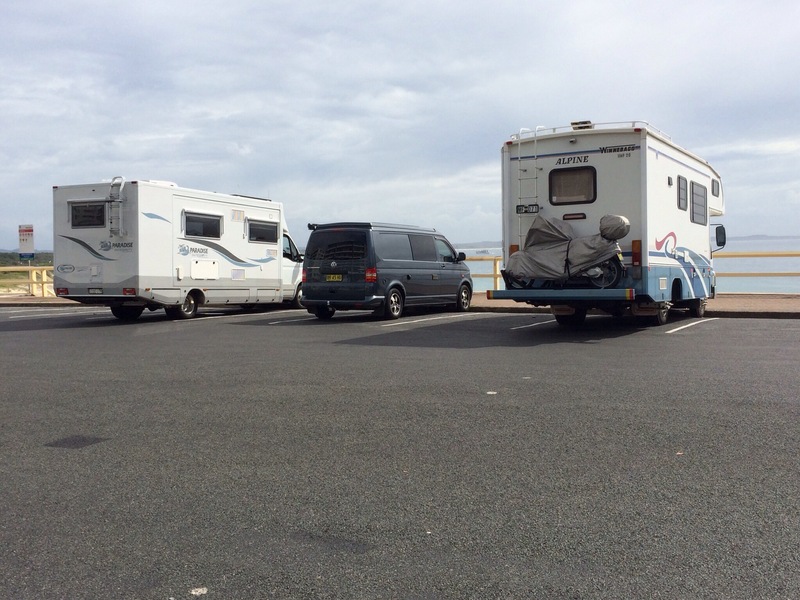 Ralph & Peregrine came along too, for some days of caravan park stops & local rides & beach visits. 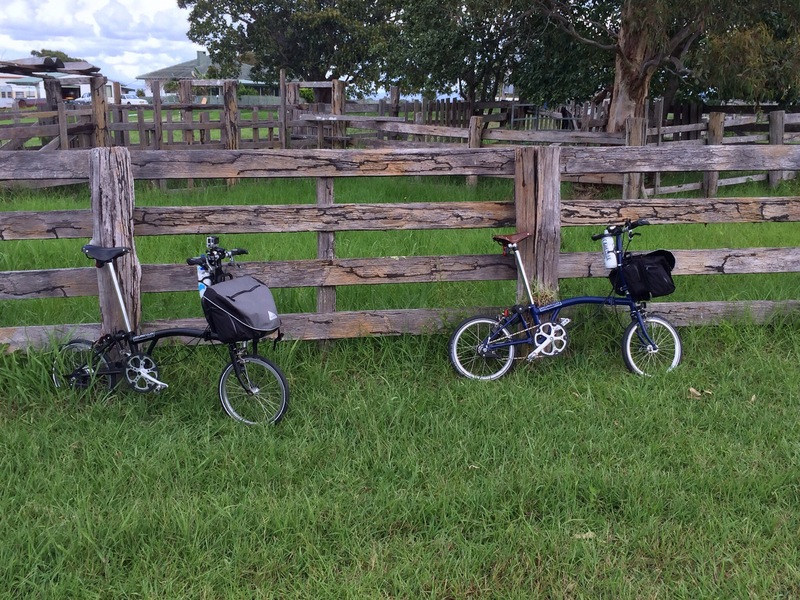 With Bromptons loaded into our VW T5 Campervan we didn’t last long before needing to stop for lunch. 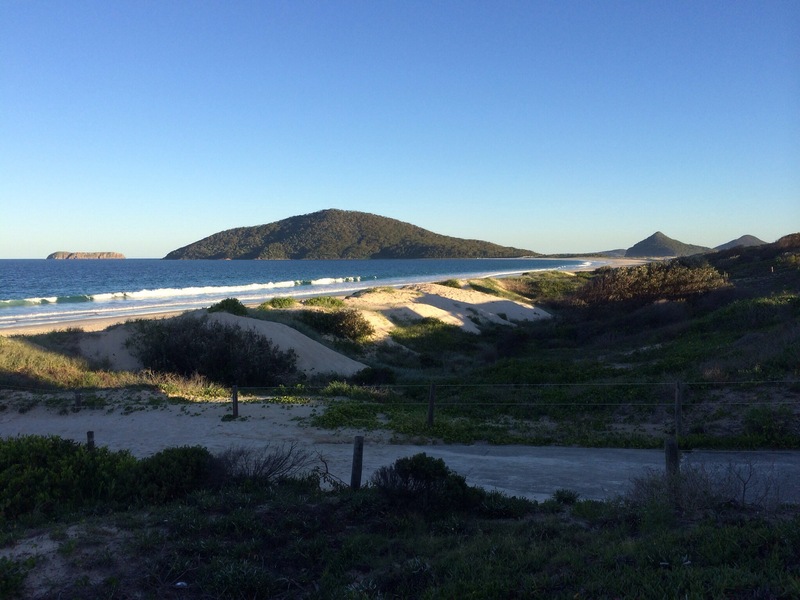 Hawks Nest turned out to be the first nights caravan park, just beside the ocean beach. Next day saw us out on the Bromptons for some cruising around the coastal area (no pics I’m sorry, but there just might be a video soon?). 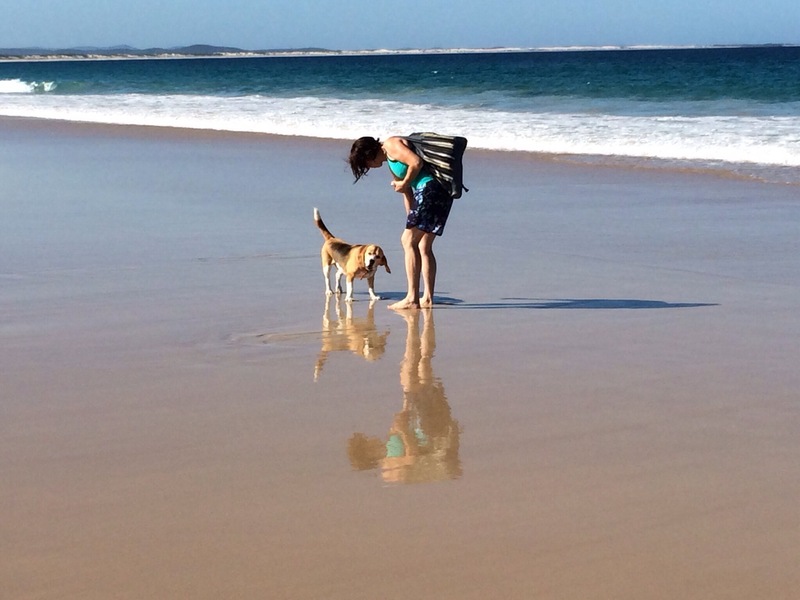 The afternoon activity just had to be the beach & Mrs Aussie managed to fit in an ocean dip & a beach walk – as well as chatting to a local resident. Another night & it was decision time: stay put for some more nights or move on? 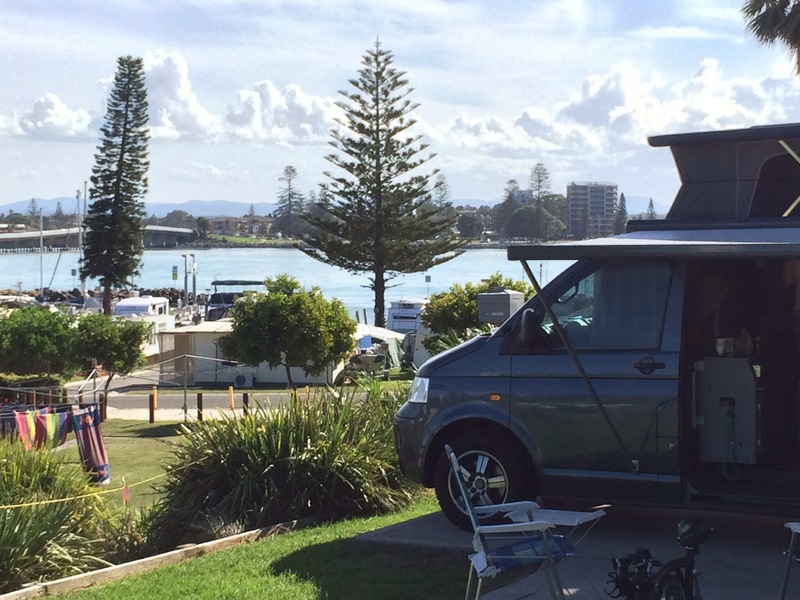 One of our caravan park criteria had been overlooked here; decent 3G & so it was an easy choice – Forster here we come! We like the elevated section of the park, with views over the town, park, river & inner beach. 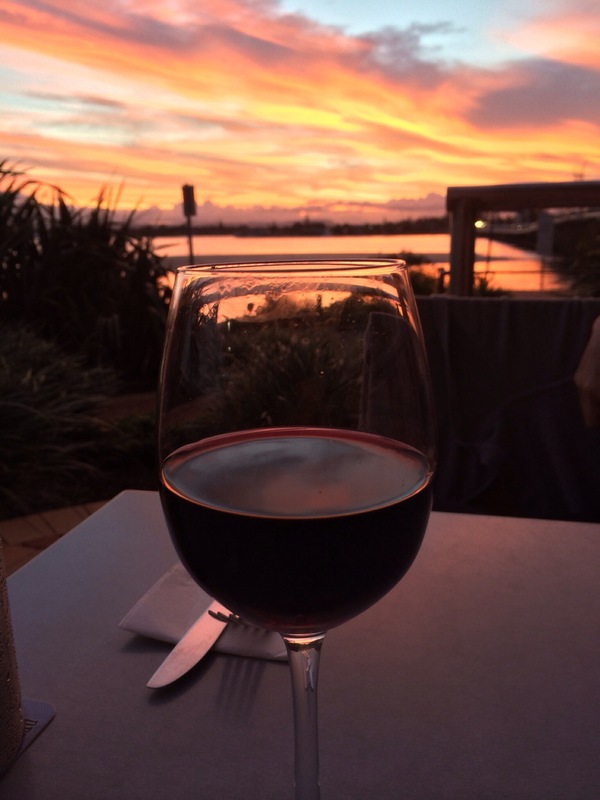 The sunset kept us occupied with our wine, while waiting for the restaurant meals. 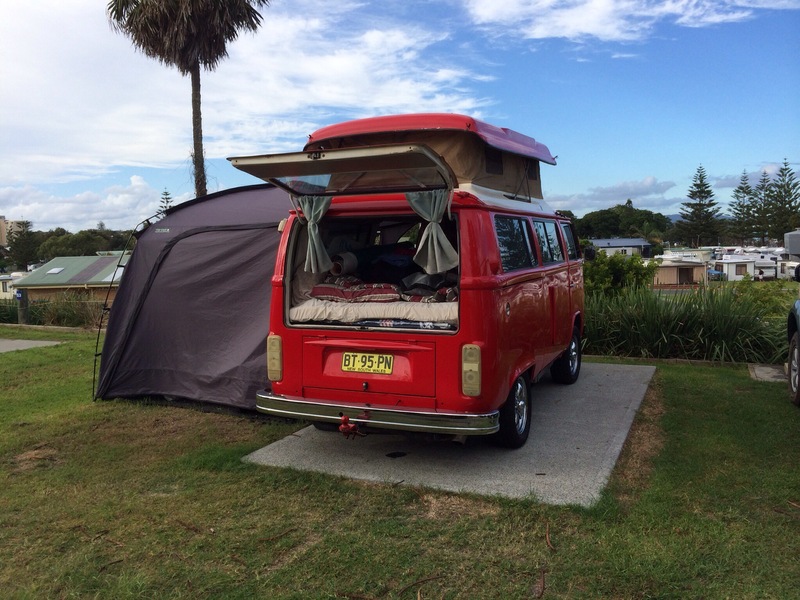 This park neighbour had done a commendable job on a VW T2 restoration/conversion. Our ride for the day on Ralph & Peregrine took us around & out of town. We couldn’t complain about the weather as we’d just missed a wind storm the day before arriving at Hawks Nest but for us it had been sunshine all the way – until late on our final afternoon & some rain came down. 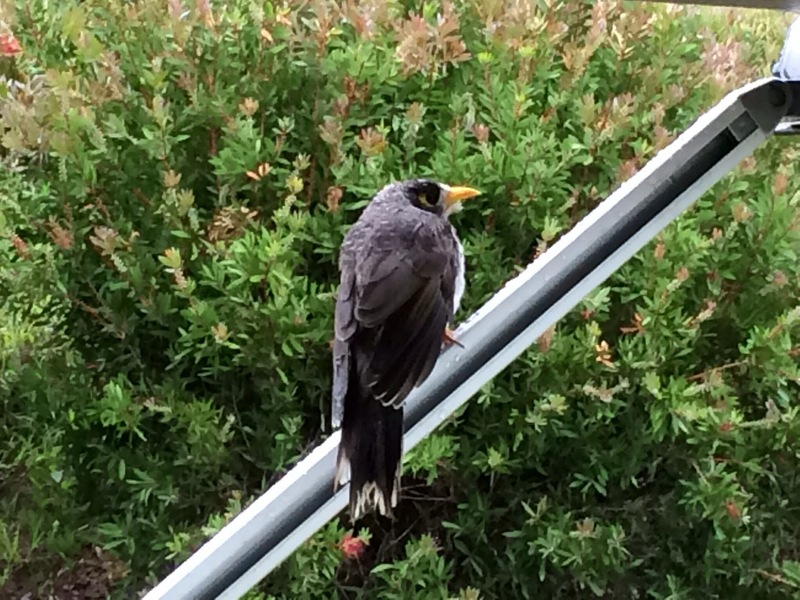 We relaxed under the awning of the Tardis & were joined by this damp Noisy Miner. 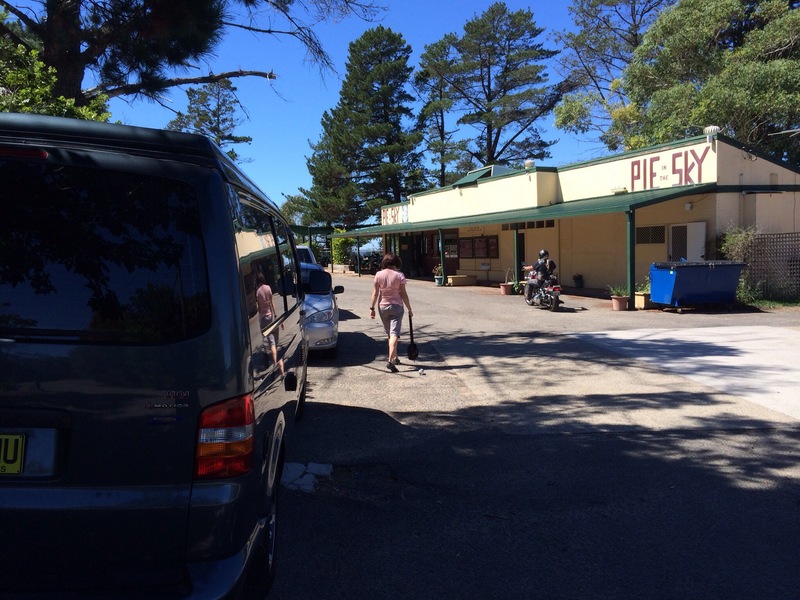 Pulling out from the caravan park, we stopped for a coffee at the local surf club & nestled our little/big Tardis amongst some fellow travellers. Our journey home included a detour inland via Dungog – & we came across a vintage tractor exhibition getting started for the weekend! Over 50 tractors went past my hastily pointed iPhone lens, although my processing of the videos is rather tractor-paced? 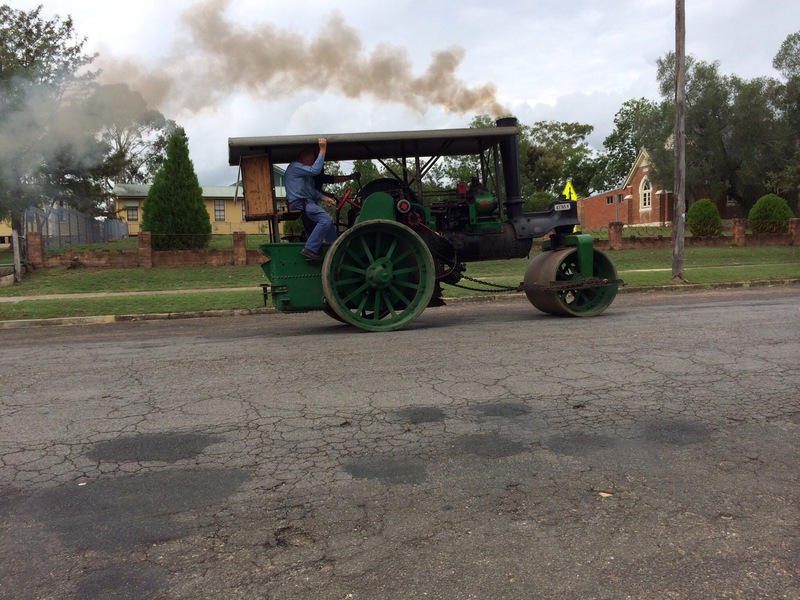 – but I did manage to get a pic of one of the traction engines chuffing along. Another good one Ian – very enjoyable! Thanks Ian, videos still to do (of riding, not wine drinking) but we’re about to head for the Mudgee Bike Muster – & you know what they have at Mudgee! Ta Brommie, although I must admit that the camera & road angles conspired to make those motorhomes seem pretty big.